Medium: original lithograph. This impression on thin wove paper was printed in 1903 for Gustave Geffroy's "La Vie Artistique". Sheet size: 6 1/2 x 4 3/8 inches (165 x 112 mm). Signed in the plate, not hand-signed. 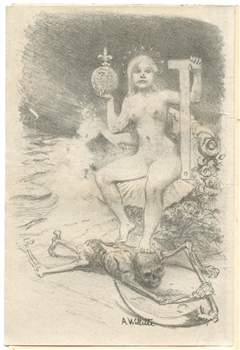 Condition: this lithograph was attached by the publisher along the right side onto the sheet beneath.